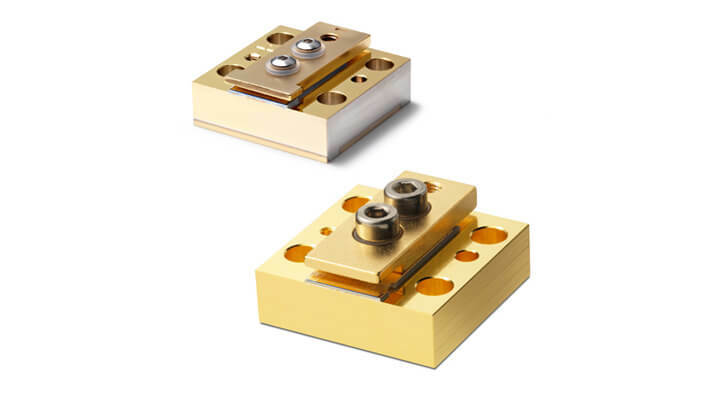 The II-VI BPC/OPC 80W 9xxnm and 10xxnm laser diode Bar on standard CS type passive cooler series has been designed to provide the increased brightness and reliability required for collimated pumping of next generation solid-state lasers and direct applications. Thermal and electrical connection is possible by mechanical means (no soldering or wire bonding required). The BPC device is easily mounted to a cold plate using screws. For current connection leads or bus bars (recommended for >100A) can be used. The II-VI HPC 50W 9xxnm and 10xxnm laser diode Half-bar on standard CS type passive cooler series has been designed to provide the increased brightness and reliability required for collimated pumping of next generation solid-state lasers and direct applications. Thermal and electrical connection is possible by mechanical means (no soldering or wire bonding required). The BPC device is easily mounted to a cold plate using screws. For current connection leads or bus bars (recommended for >100A) can be used. 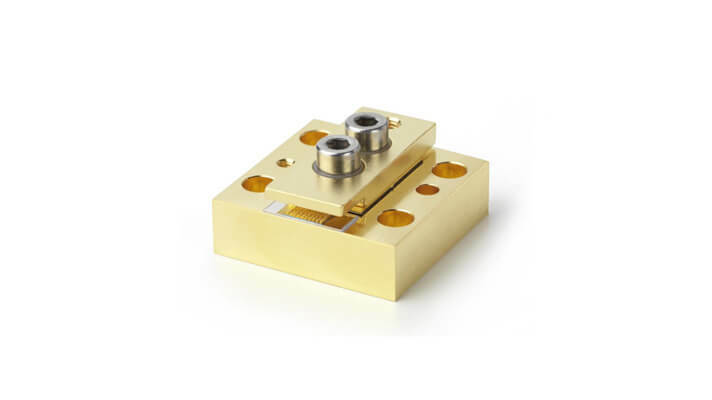 The II-VI SEC9-9xx-01 single emitter laser diode series has been designed to provide the high output power, high coupling efficiency and high reliability required for pumping next generation fiber lasers and for other high power laser diode applications. The proprietary E2 front mirror passivation process, developed at our Zurich site, prevents Catastrophic Optical Damage (COD) to the laser diode facet even at extremely high output powers. The single emitter laser diodes are p-side down mounted on a submount that is attached to a C-mount. The II-VI SES12-9xx-03 single emitter laser diode series has been designed to provide higher output power, and higher efficiency required for pumping next generation fiber lasers and for other high power laser diode applications. The proprietary E2 front mirror passivation process, developed at our Zurich site, prevents Catastrophic Optical Damage (COD) to the laser diode facet even at extremely high output powers. The single emitter laser diodes are p-side down mounted on an optimized submount providing very low thermal resistance. The II-VI SES18-9xx-01 single emitter laser diode series has been designed to provide highest output power and efficiency for 200mm core fiber pump configurations for next generation fiber lasers and for other high power laser diode applications. The proprietary E2 front mirror passivation process, developed at our Zurich site, prevents Catastrophic Optical Damage (COD) to the laser diode facet even at extremely high output powers. 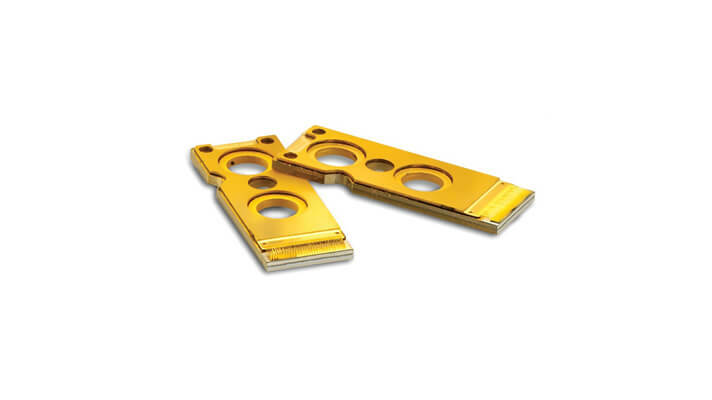 The single emitter laser diodes are p-side down mounted on an optimized submount providing very low thermal resistance. 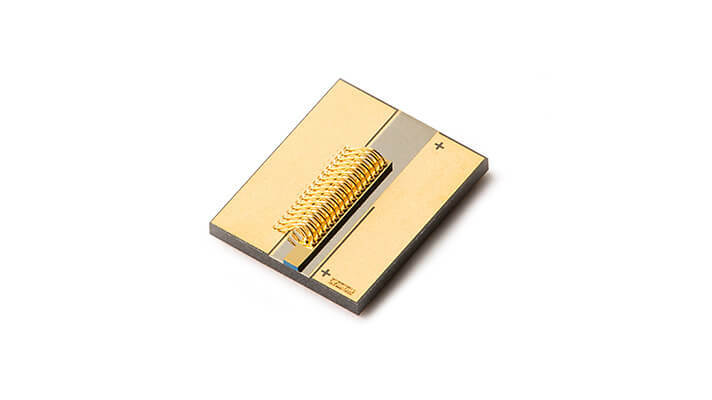 The II-VI SES9-9xx-01 single emitter laser diode series has been designed to provide the high output power, high coupling efficiency and high reliability required for pumping next generation fiber lasers and for other high power laser diode applications. The proprietary E2 front mirror passivation process, developed at our Zurich site, prevents Catastrophic Optical Damage (COD) to the laser diode facet even at extremely high output powers. 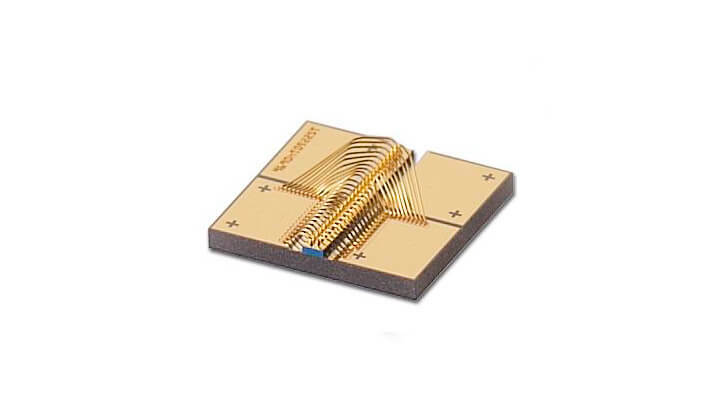 The single emitter laser diodes are p-side down mounted on an optimized submount providing very low thermal resistance. The II-VI SES22-9xx-01 single emitter laser diode series has been designed to provide highest output power and efficiency for 200mm core fiber pump configurations for next generation fiber lasers and for other high power laser diode applications. The proprietary E2 front mirror passivation process, developed at our Zurich site, prevents Catastrophic Optical Damage (COD) to the laser diode facet even at extremely high output powers. 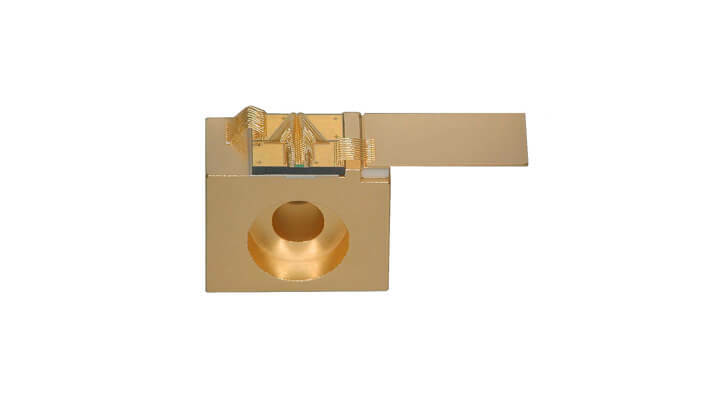 The single emitter laser diodes are p-side down mounted on an optimized submount providing very low thermal resistance.